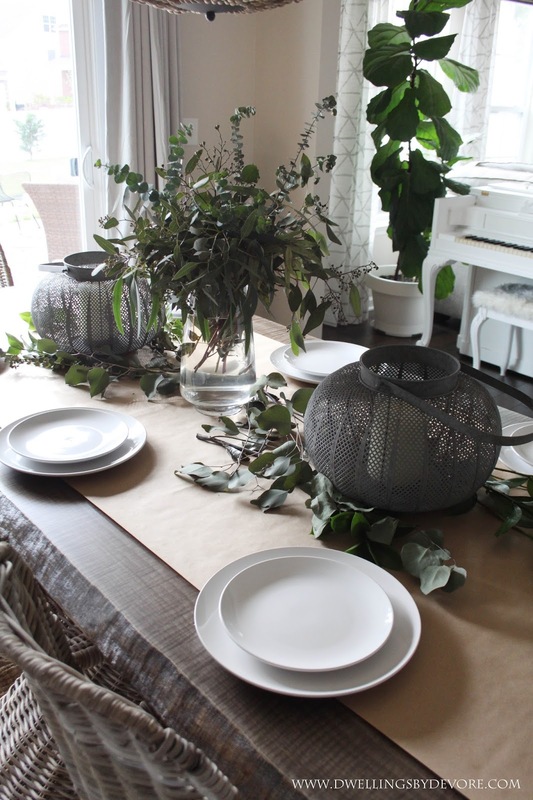 I love using fresh greenery throughout our house. Even though I'm not the best with plants, I've somehow managed to keep several alive. I love the organic feel they add to a space. 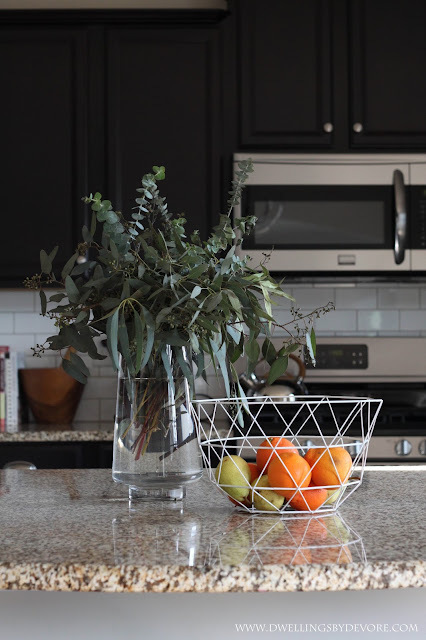 Today I'm joining several other bloggers and talking about how to use fresh flowers and greenery in your home. If you are coming over from Amy's blog, Meme Hill, welcome! Thanks so much for taking the time to stop by. One of my favorite types of greenery to use in our home is Eucalyptus. I talk about it all the time because it's so versatile and so inexpensive. I typically grab a bunch of it at Trader Joe's every week and it only sets me back $3. And it smells heavenly. I usually keep it in a simple vase on the counter. 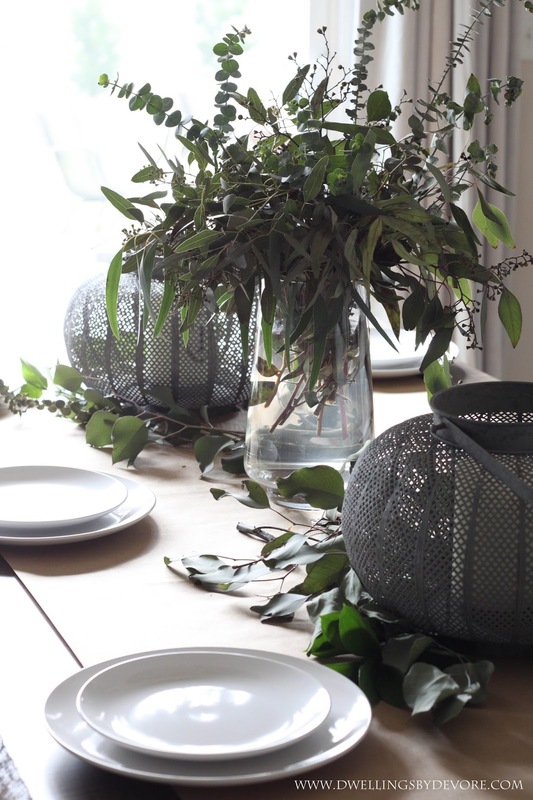 It's also great for creating a simple, organic table setting. It would be perfect for Easter. You can mix in pretty much any color flowers you want. 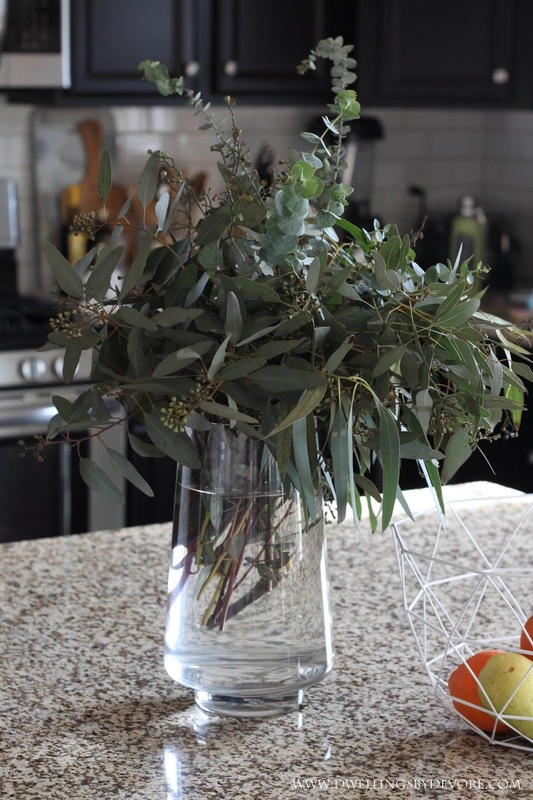 I used basic brown craft paper to create a runner and then layered the eucalyptus on top. And of course I love a simple bouquet of flowers too. Just drop them in a vase or even a simple glass and you are good to go! How do you like to use greenery in your home? 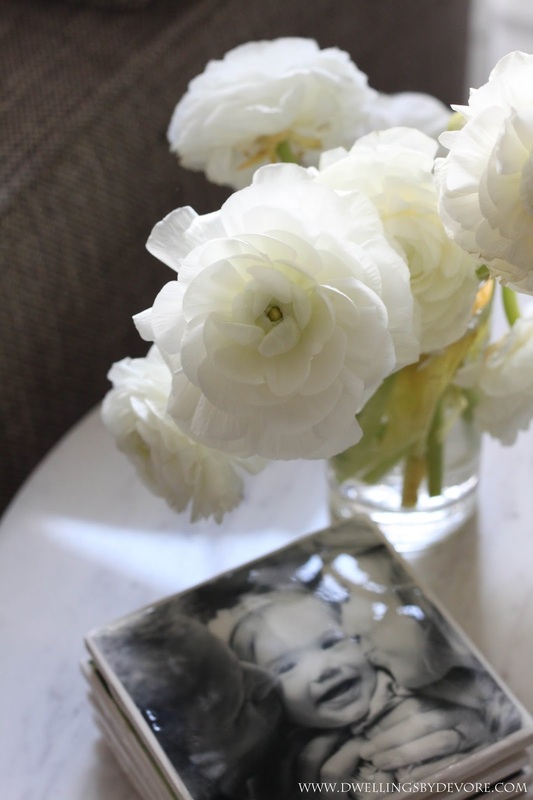 Do you have a favorite flower that you find yourself drawn to every time? 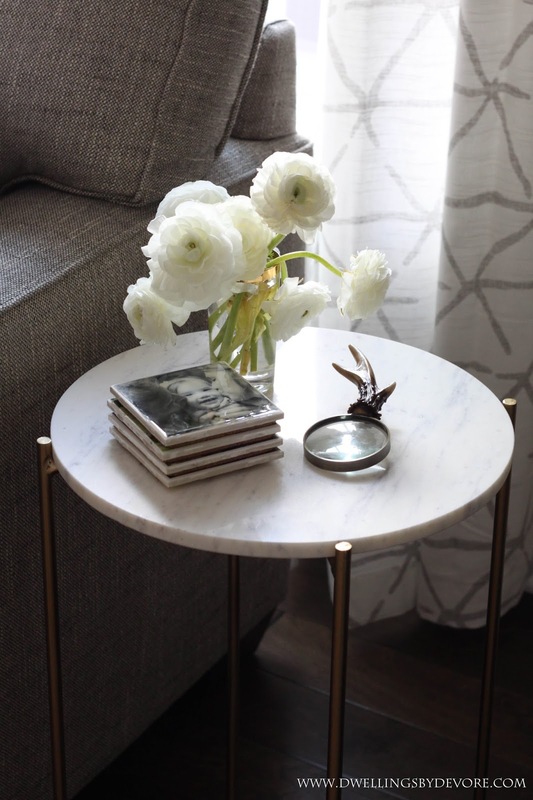 Now head on over to 2 Ladies and a Chair for more inspiration! You can also see the full tour below.